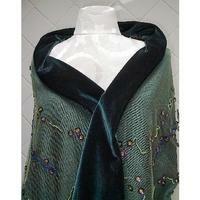 This elegant, exotic, colorful velvet shawl is just BEGGING to be worn to a prom or cocktail party! At 17-1/2? wide by 56? long (not counting the beaded fringe), it?s perfect to wear indoors or out. The mysterious forest green velvet will keep your shoulders toasty-warm, while the peridot green micro-tulle on the outside shimmers in the least bit of light. 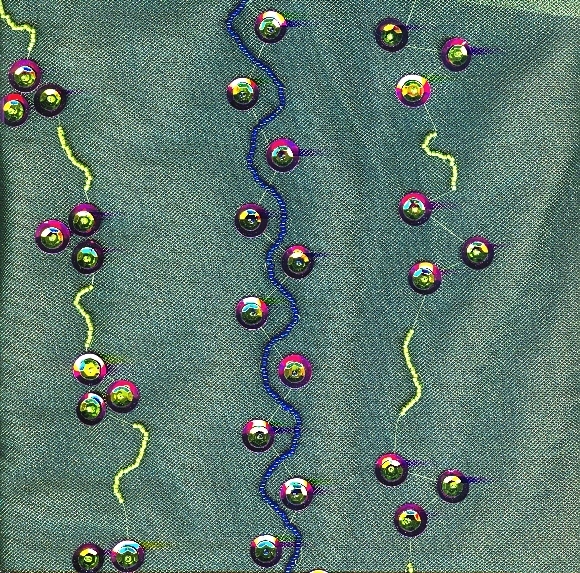 I?ve added meandering paths of deep blue-violet and peridot seed beads to the tulle side of the shawl, plus fuchsia and peridot sequins. 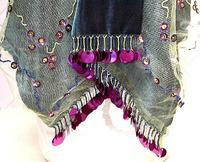 The fringe is made using the same sophisticated color combination. 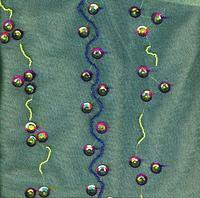 When an eye-catching accessory is what you need -- and this evening shawl will get you noticed! -- look no further than SPARKLE PLENTY.